Available In: Cydia Price: 3 Day Trial then ? 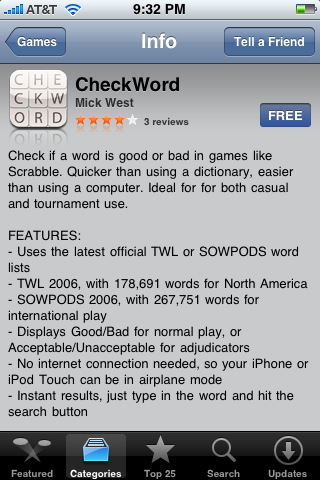 Judging by the title of the application, I figured this application would be a dictionary for your iPhone or iPod Touch. You know, look up words and find their definitions. 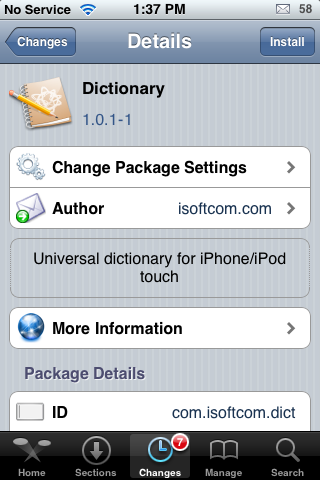 Well, upon installing and reviewing the app…I found that it is actually a translation dictionary.